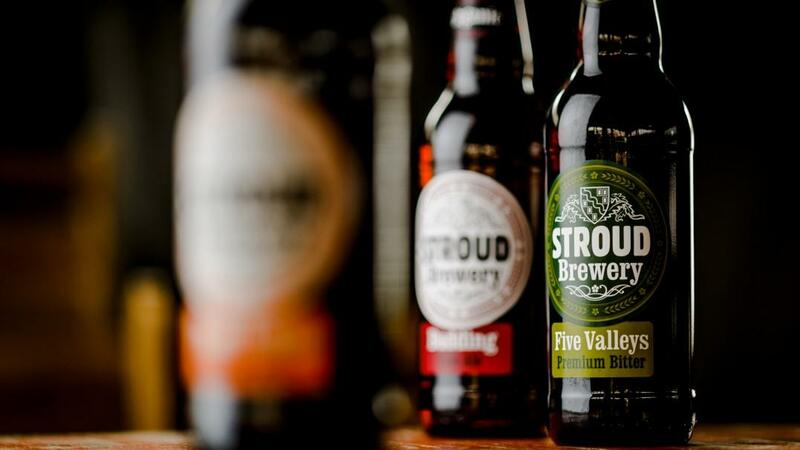 Stroud Brewery was established in 2006 at its current site in Thrupp. Just 2 months later it’s launching brew, Budding (4.5% ABV), was awarded Champion Beer of Gloucestershire at the Cotswold Beer Festival. The business has grown steadily and now employs over 20 people. Stroud Brewery produces a range of premium organic beers brewed using Cotswold grown barley, traditionally malted at Warminster Maltings. 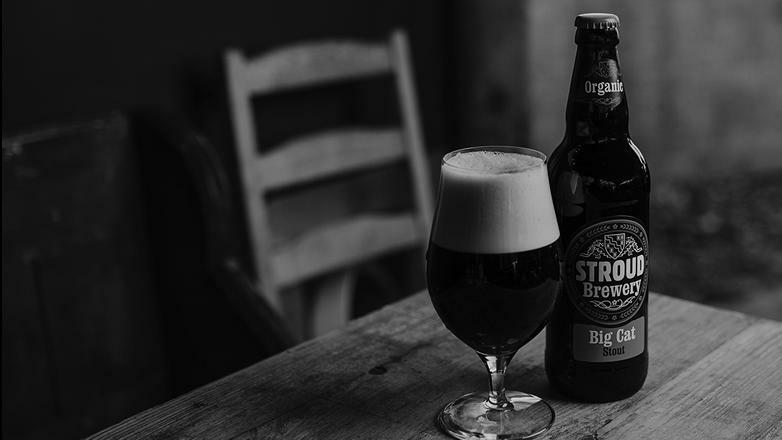 The main focus of our business is brewing our unique and tasty cask conditioned beer. As the business has expanded we have increased our offerings to include premium kegged beer, lager, cans and bottles. Our range of 12 bottles and 3 cans are organic and vegan. As well as our core range we brew seasonal, and one off beers, throughout the year. Our beers are brewed to organic standards and are certified by the Soil Association. These standards support our ambition to produce the highest quality beers with care for people and planet. Sustainability is at the core of the organic approach. The standards we have to adhere to include not only the ingredients, but also how organic beer is made, packaged and traded. Organic farming restricts the use of artificial chemical fertilisers and pesticides. Instead, organic farmers rely on developing a healthy, fertile soil and growing a mixture of crops. No system of farming has higher wildlife benefits. 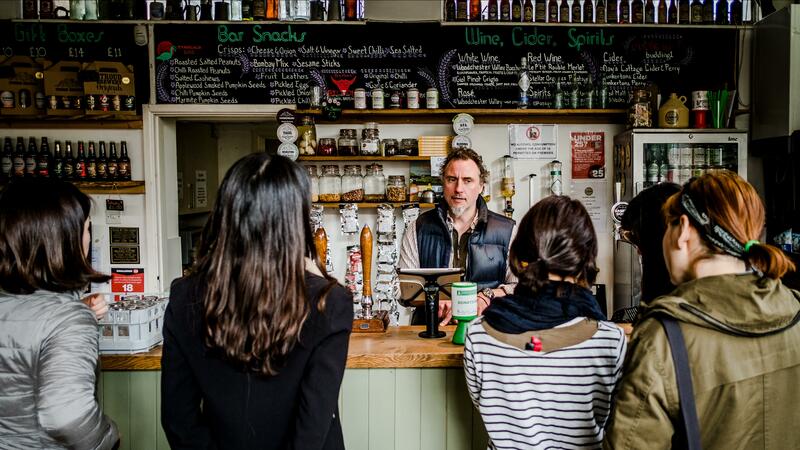 Come and join us at the bustling Stroud Brewery Tap where you can sample our full range of currently available beers, enjoy live music and a sourdough pizza fresh from the wood-fired oven. If you fancy an organic wine or local cider instead, we have that too. We are mindful of our environmental impact and take steps to be sustainable wherever possible. We prefer to use craft and small scale suppliers. Our biggest raw ingredient is malt, which we buy from Warminster Maltings, a traditional small craft maltster. Spent grain is fed to local and organic cattle, including pigs and cows at Stroud Community Agriculture. Our spent hops go for compost. Some of our packaging goes to the Scrapstore for schools to use. And our beer bottles are lightweight, about 30% lighter than a standard beer bottle saving on glass and transport weight. Every year we work with our local community to make Brewer’s Garden, a harvest celebration ale, brewed with fresh Fuggles and Goldings Cobb hops which are grown in local gardens and allotments. Every spring we pot up hop plants and anyone can come to the Brewery and collect one to plant to nurture. The bines are harvested in September and members congregate at the brewery to hand pick the cones and enjoy a few ales. Growers who spend the day picking receive 5lts of Brewer’s Garden for their efforts. For vegan visitors we aim to offer at least one unfined cask beer each week. Our keg beers, bottles and cans are also vegan friendly.